> 	Re: XForms Evening Announced! 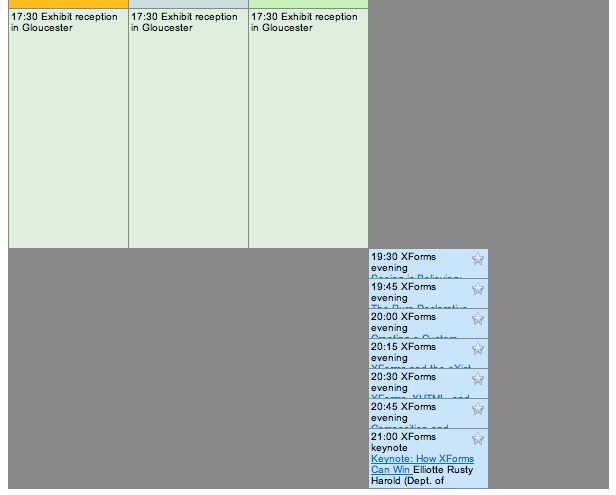 > garbled for the XForms sessions (at least with FF and Safari) on this page? Previous message: John Boyer: "Re: XForms Evening Announced!" In reply to: John Boyer: "Re: XForms Evening Announced!"